Royal Vista Dental is thrilled to offer root canals and other endodontic treatments to our Royal Oak patients. While you’ve likely heard of a root canal, you might not know what it is or why it could be necessary. 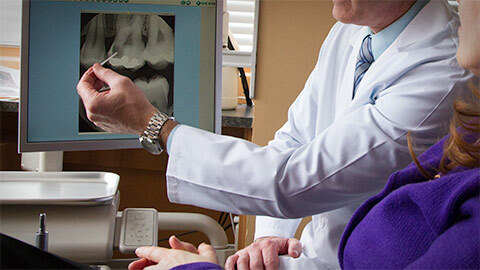 A root canal is a simple procedure done to save an injured tooth from extraction. If a tooth is decayed or injured, the pulp – made of sensitive nerves, arterioles, and tissues – could become damaged. If so, we may extract the damaged pulp and seal off the space – saving your injured tooth with a straightforward and mostly-painless procedure. Contact Royal Vista Dental for more information about our endodontic treatments.